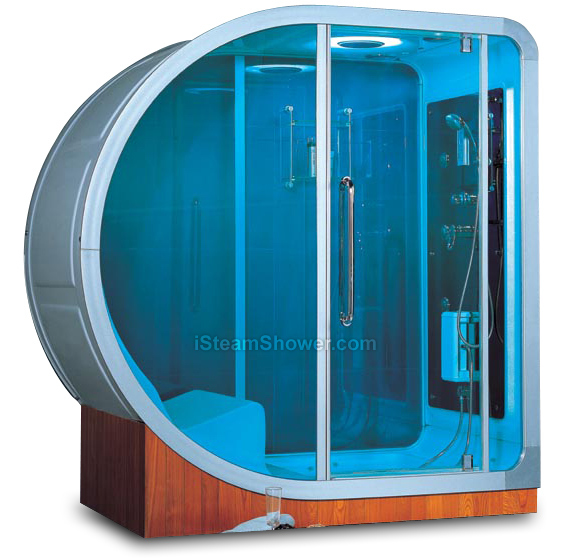 A steam shower that runs in sync with iPods and other mp3 players, the iSteamShower is designed for maximum relaxation. This version, with a curved back that houses an integrated lounge-type chair, comforts bathers with 10 body jets, a foot massage and foot scrub system. The price for all this futuristic pampering? $3542 at iSteamShower.com, where you can buy online, search other models and find out more.